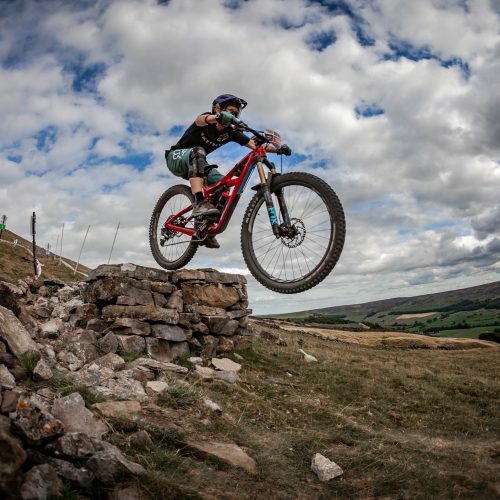 Cat Hart is a mountain biker, snowboarder & writer based in the Lake District. 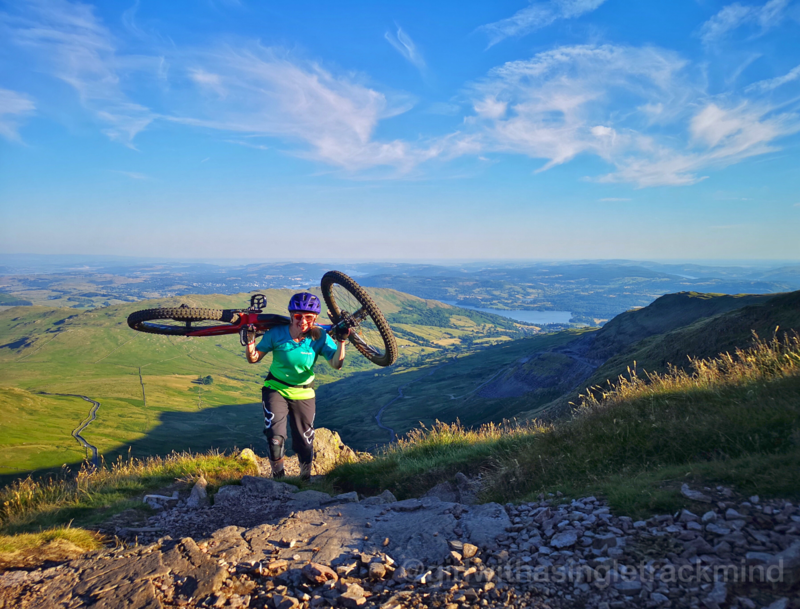 Having made a move to The Lake District a couple of years ago, she now works in the bike industry and when she isn’t out riding her bike, whether thats for fun or in a more competitive setting, she’ll be writing about it for her blog Girl With A Singletrack Mind. Here Cat shares with us how she got started & what drives her to get out on two wheels! Tell us a bit about yourself, and your blog, Girl with a Singletrack Mind. Until around five years ago, my life revolved around snowboarding. I’d worked in the ski industry for many years, latterly as a winter sports journalist/copywriter, and lived for the promise of pow! However, when my partner gave me his old hardtail mountain bike, everything changed. 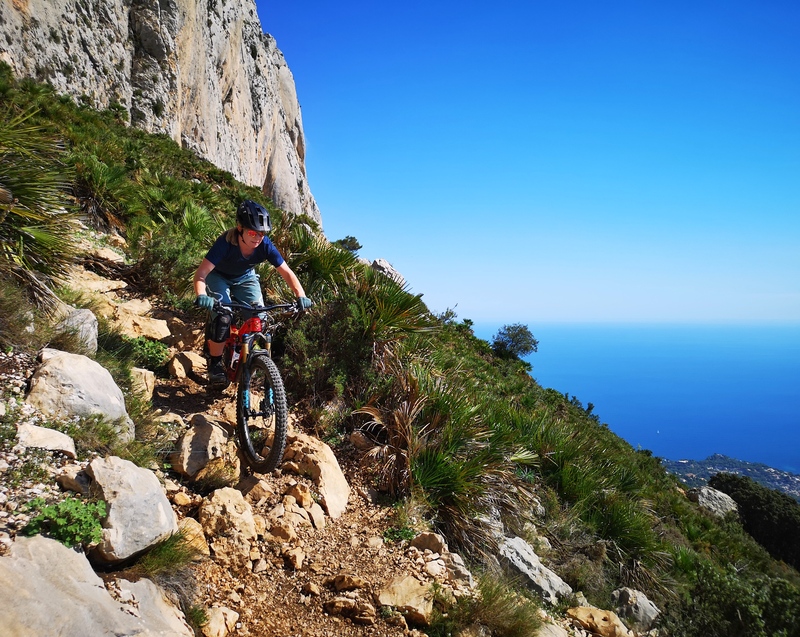 I quickly became hooked, and before I knew it, every spare moment was spent either out on my bike, or writing about it, in my blog, ‘Girl with a Singletrack Mind’. I now work in the bike industry and am a qualified mountain bike guide, living in the Lake District. What would you say is your biggest drive for being active and getting outdoors? I’ve always loved sports and being active, so have never needed much encouragement to get out and about. I’d also so much rather ride my bike outside than use a turbo or go to the gym, regardless of the weather. Exercising, particularly outdoors, gives me an amazing sense of ßwell being, and I always feel so much better for it. Living in the Lake District, I also have the most amazing scenery on my doorstep, so you don’t need much more incentive than that! It’s hard to beat the feeling of standing at the top of a mountain you’ve just climbed, taking in the views, and then enjoying an exhilarating ride down. You recently moved to the Lake District. What prompted the move, and how do you feel it has impacted on your riding? I’m from Edinburgh originally but had been living in Liverpool with my partner for a couple of years before we decided to move to the Lake District. We basically used to spend every day off we had making the three hour round trip to the Lakes to ride our bikes, so after a while, we decided it made more sense just to move up here! It was definitely one of the best moves I’ve ever made, and has given me so many more opportunities for riding. It’s fantastic to have such a vast expanse of epic trails on the doorstep, and I’m able to get out way more than before. I can now do rides straight from work that we used to travel three hours to do. We’ve also met so many like-minded people since we moved here, and made some great friends through mountain biking. There’s a fantastic MTB community in the Lakes, so there’s never a shortage of people to ride with, and stoke levels are always off the scale! It’s hard to believe it, but we’ve been living in the Lakes for nearly two years now. Time flies when you’re having fun, eh! 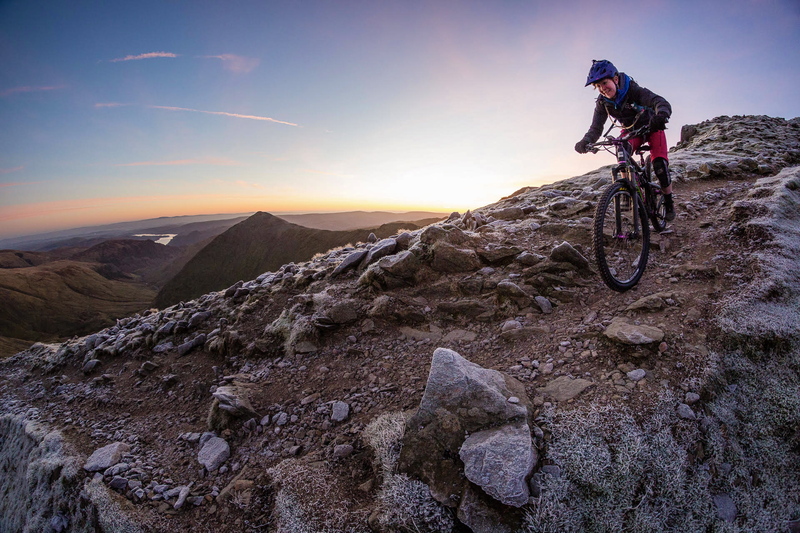 The Lake District seems to have a really strong female riding scene, would you agree? If so, why do you think that is? Yes, definitely! 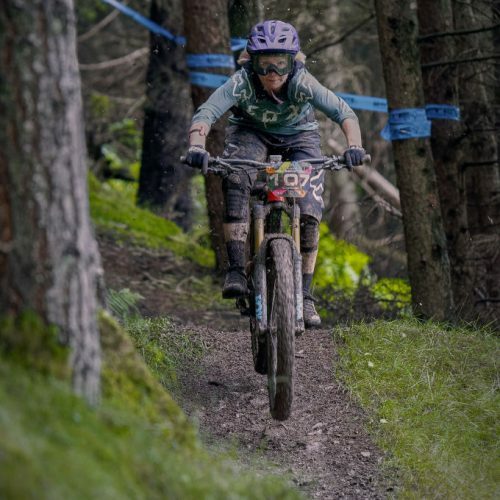 There are lots of rad ladies killing it on bikes in the Lakes. I guess most people who choose to live here are into the outdoors, and mountain biking is just one of many activities in which they participate. Although there are all-female group rides on occasion, we generally ride in mixed groups, which is great. We do still tend to be the minority though, so it’d be great to see even more women on the trails. Have there been any particular highs or lows that stand out since you started on your mountain biking journey? There have been so many highs. I’ve had some really amazing adventures on my bike, both in this country and abroad. The combination of stunning scenery and the adrenaline rush from a fantastic descent provides the perfect natural high. 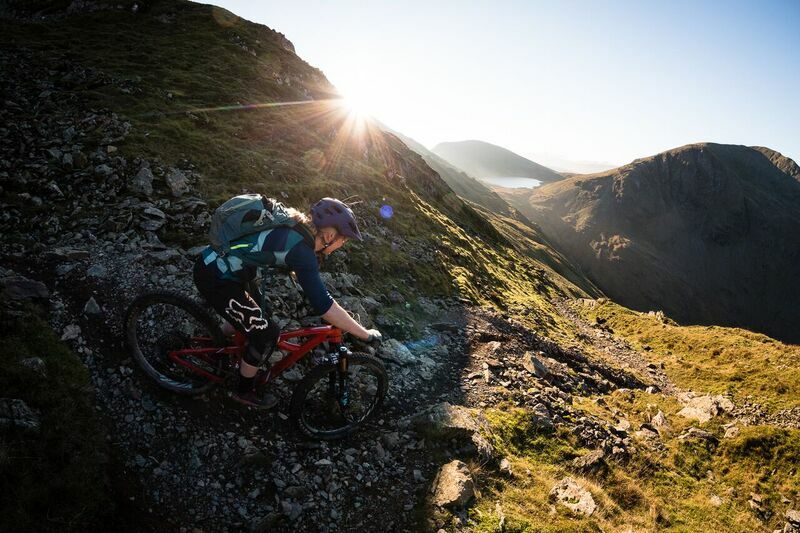 Stand out moments include summiting Helvellyn for a stunning sunrise, and riding down in the golden light of dawn, or a recent trip to Spain. I also always get a high from racing, particularly if I do well! There’s always such a good buzz, and the elation from finishing that last stage after a tough couple of days’ riding, is hard to beat. Even just nailing a feature or riding something that you didn’t think you could, gets the endorphins flowing. The only lows are associated with not being able to ride my bike, be that through illness, injury, or the necessity to work! 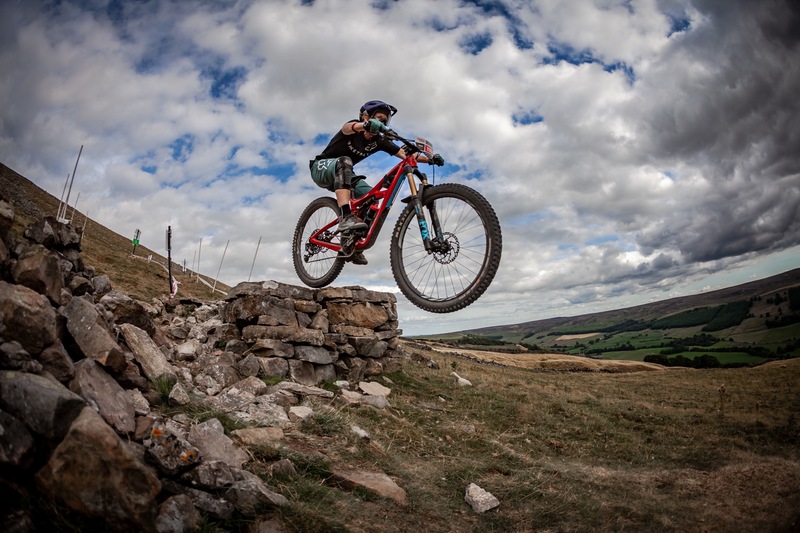 You compete regularly in some of the UK’s toughest mountain bike enduro races. What is it that motivates you to race? I’ve always been competitive when it comes to sport, so I love the buzz of racing, and challenging myself to do well. I also find that it pushes me to ride stuff that I might not attempt otherwise, which makes me realise that I am able to do it, and ultimately improves my riding. It’s amazing what a bit of adrenaline can do! 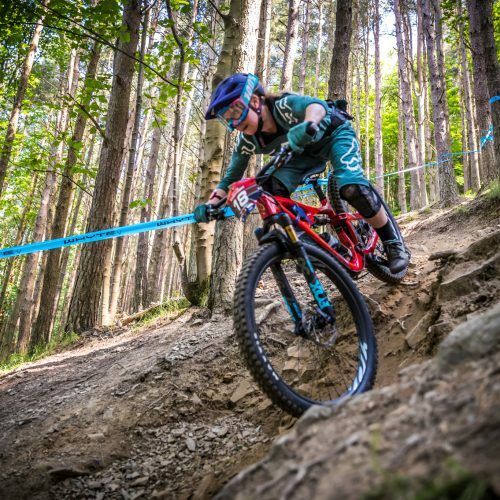 Do you have any tips for someone thinking of getting into mountain biking? Just do it – you won’t regret it. I really wish I’d had the opportunity to get into it sooner. You don’t need to have a super-expensive, fancy bike to get started. A hardtail is perfect for developing your skills. Sending yourself down a steep, rocky or rooty trail can be a bit daunting if you’re new to it, so just build up to things gradually. It’s all about confidence. It’s so hard to overcome the urge to brake when you’re nervous about a feature, but that’s generally what causes things to go wrong. Riding with people who are a bit better than you will also improve your riding. Just make sure you don’t follow them down blind, and check out any features that you’re not sure of! And, enter a race. You don’t need to be an amazing rider to take part. 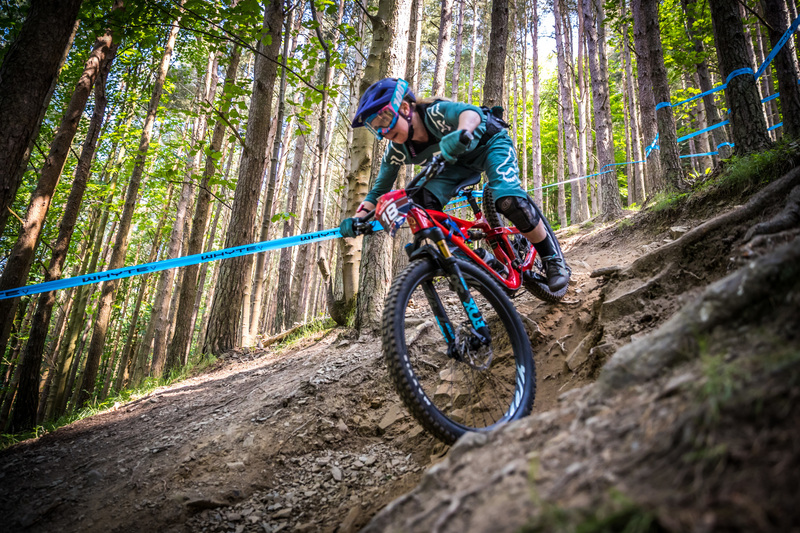 There are loads of grassroots events in the UK, such as the PMBA enduro series. 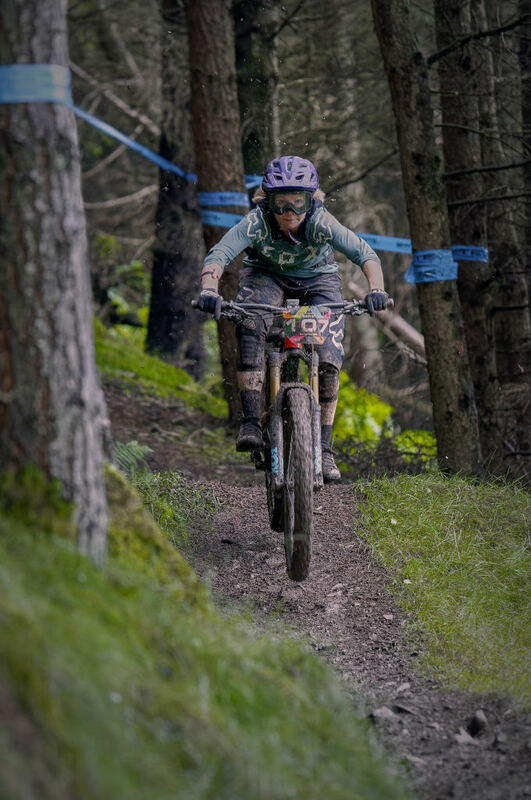 The Hopetech women’s enduro is also a great event, with no testosterone-fuelled men chasing you down the stages!